Paris is full of incredible Instagram spots. One particularly beautiful arrondissement is Montmartre. Montmartre is a district in the north of Paris. Full of colourful artistic history, a beautiful white-domed Basilica and quaint cobbled streets you must visit Montmartre during your stay in Paris. 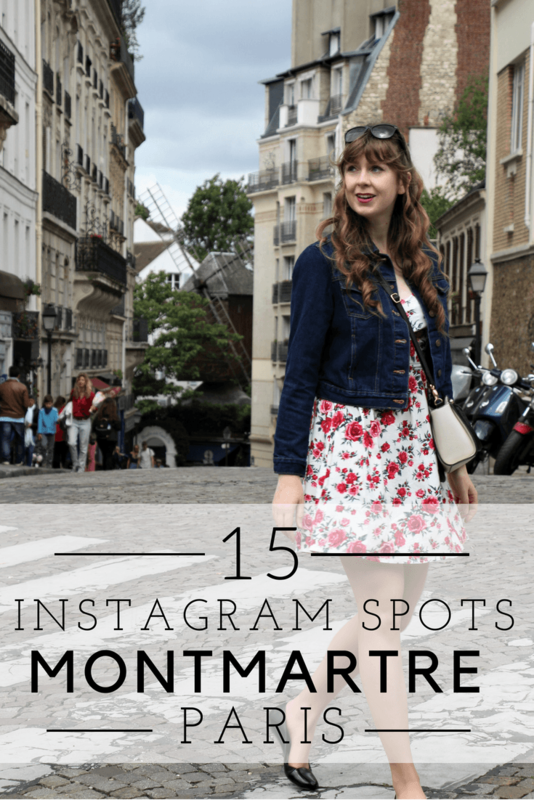 Here is a list of 15 instagram spots in Montmartre to help you fill your Instagram feed with many gorgeous images. Find out where to take the best photo with the incredible Sacre Cour Basilica without the crowds, and what other hidden gems are waiting to be discovered around the 18th arrondissement. You can probably say ‘I love you’ in a few languages. Yet can you say it in 250 languages? On the Wall of Love, Le mur des je t’aime, at the foot of Montmartre, there are 250 lines of ‘I love you’ in 250 different languages. There also little red shapes dotted around the wall. If these shapes were joined together they would form a red heart. After you have posed with the wall, spend a little while trying to find your language. If you have time play a game with your travel companion to see who can spot ‘I love you’ in French first, then German and any other languages you both know! The Wall of love has been voted as one of the most unusual things to do in Paris so make sure you check it out on your trip. Since the end of the 19th century, artists have been present in and around Montmartre. Some famous artists such as Monet, Picasso and Van Gogh all painted and worked here. Today artists still paint in Montmartre and one particularly good place to see them paint is on Place du Tetre. 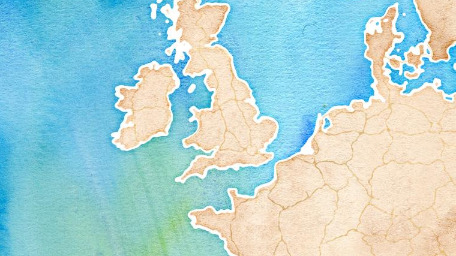 See if you can capture the artists and their subjects and work. It is also fascinating to see what it looks like behind the canvas as you can glimpse into the artists’ true environment. You cannot visit Montmartre without taking at least one photo of the incredible Sacre Cour. Though the front of the cathedral is always incredibly busy, it is the best angle get a shot of the two guardians of this place of worship. Cast in bronze, two statues proudly protect Sacre Cour. See if you can spot which one of the the turquoise figures is Joan of Arc when you visit. There used to be many mills up on the hillside but now only a couple remain. One of these is the pretty Moulin de la Galette. Many tourists gather around the front of the mill, but the better photo opportunity lies a little further up the street. There is a perfectly placed zebra crossing to walk across to gain the perfect candid shot with the mill in the background. There is not a lot of traffic up on the hill meaning you can have a few attempts of crossing the road to get your perfect insta shot. As well as taking photos of the artists, you can also take some great shots of the art that is being created in front of your very eyes. There are many wonderful pieces of art depicting typical Parisian scenes in all sorts of styles. Just make to respect the artists when you’re walking through, check it is okay to take photos of the art as some artists clearly state above their pieces not to do so. If you would rather stay on the safe side, there are many gift shops selling very pretty postcards. Snap these to your heart’s content to take home a photo of Montmartre art, even if you can’t splash out for the real thing. Certain parts of Montmartre are incredible desirable areas to live in and it’s not surprising as to why. There are some lovely cobbled streets full of ivy-clad houses. Strolling around here escapes the hustle and bustle of the crowds in the centre of Paris. Like this post? Pin me here! The slightly bizarre open-air museum offers an interesting glimpse into one man’s artistic vision. An area which would normally be frowned upon for daring to be grey and ugly has been transformed with colourful messages. Montmartre’s hilly landscape means there are plenty of steps dotted around the arrondissement. One particularly pretty set of stairs are the Rue du Mont Cenis Stairs. From the top of these steps, there is a lovely view across Paris. What a perfect spot for those great close up macro pics. Quite possibly the sweetest house in the whole of Paris, you cannot miss taking a photo of the wonderfully pink La Maison Rose. Lots of tourists quickly perched on the seats to have a photo before moving away but I preferred to capture this couple. I just could not get over how pink it was! Why battle with the hundreds of tourists at the front of the Sacre Cour basilica when you could just go behind the cathedral? From the other side, there are very free tourists, even at weekends meaning it is much easy to capture that perfect Instagram shot. Stumble across this curious piece of art! CDs sway gently in the wind and the light bounces of the silver surface. Choose a quick shutter speed to capture these moving objects. The architecture in Paris is stunning and Montmartre is a particularly wonderful area to see some of Paris’ most grand apartments. There are many stunning apartments decorated with colorful flowers on the pretty balconies. The traditional lamp posts also make for interesting features in your photos. Montmartre lives up to its expectation as a hive of creativity. Not only artists take over the streets of Montmartre but musicians too. These musicians had positioned themselves on the steps at the side of the Sacre Cour. Quite a crowd had gathered around them. Montmartre is a great place for street photography and taking photos of buskers really capture the bustling atmosphere of this creative quarter. Finally, where is the best place to take a photo which perfectly encapsulates the whole of Montmartre? The view from Place Dalida captures the quintessential essence of Montmartre. You can see the snow-white cathedral, the quaint cobbled roads and lush vegetation framing the scene. Sit on a bench and take in the lovely view in peace and quiet. Montmartre is truly very photogenic. It is lovely to wander around in the day. Montmartre is also a beautiful part of Paris to be explored at night. If you would like to stay overnight in this part of town there are plenty of places to stay. For those who prefer lively accommodation, there are many of the best Paris party hostels in this part of the city. Hope this guide helps inspire you to want to visit Montmartre and take your own Instagram photos there! Sweet guide! Nothing wrong with free and those activities look awesome! Thanks for the tips, they’ll be useful when I head to Paris this fall! We loved Montmartre around every corner was another photo opportunity. It must have been hard to limit yourself to just 15 spots in this post! We climbed to the top of the Basilica du Sacré-Coeur there were come great spots up there too. What a post, you are sharing very good information through this post. Very effective post with the best images of Montmartre Paris thanks a lot to share. Montmartre was always just out of reach when I visited Paris. Love your photography and how quaint everything looks. Like you stepped back into time in some romantic fairy tale. An awesome guide to Montmartre, Paris with such amazing Instagram spots. Its really hard to say which one is better than the other as all of them look so unique, be it Artists at work on Place du Tetre or Street Musicians or CD Art or La Maison Rose. Happy to find this post and would love to use it as a reference for whenever we head to this part of the world! Great guide. Will be in Paris this October. The Wall of Love is a magnet for me. Oh, and the ivy-clad houses and the pink house! I love Montmartre. I just got home in mid-July from my second visit to Paris. I wish I had had this guide then as I love Instagram guides! I did get most of these, but not all. Your shot of the Wall of Love is really good. What time were you there? I got some shots I was okay with, but yours is really good! Cool fact that all the red shapes would form a heart if they joined together, thanks for the info because (although I haven’t done my research yet) I didn’t know that! Very true that there aren’t many mills left anymore! I loved going behind (and to the side of) Sacre Cœur! And, where was the CD art?? I wish I’d had this guide when I visited! I love the shot from behind Sacre Coeur – not the front, but behind, where there are fewer tourists but amazing details in the architecture. I also loved all those ivy-lined buildings too! They were awesome. I just wish I had been a better photographer back then! I haven’t been to Paris for a couple of years now and I think the last time(s) I haven’t made it to Montmartre. So I wonder when all this cool street art was installed – it wasn’t like this before, they only had these cheezy portrait painters. Those really are some amazing Instagrammable spots in a city like Paris . Haven’t been there yet, but now I so want to and get these shots as well. The Open Air museum looks like an amazing backdrop.